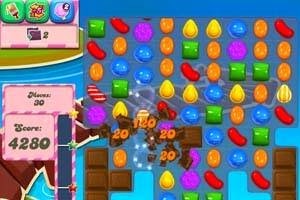 Home » new technologies , NEWS » ‘Hugely addictive‘ Candy Crush making pockets lighter! is it? ‘Hugely addictive‘ Candy Crush making pockets lighter! is it? Smartphone app Candy Crush is notoriously addictive and has huge effect on the brain in addition to one's pockets. Technology blog Gamasutra calls the addiction to this game a "fun pain",so-called reward mechanisms defeat a person's ability to make informed choices about the costs and value of these products, News.com.au reported. Sudhir Kale, a marketing and gaming expertBond University, said that only a small number of people become addicted to gamesCandy Crush and addicts become stimulated by a secretion of dopamine by the brain. Kale said that the brain starts secreting dopamine, the same when someone's doing cocaine or recreational drugs, but it doesn't happen to every person. The game's manufacturer, King, makes $670,000 a dayusers, who purchase extra lives or access to the next level.